Government of Sri Lanka agreed to present a volunteer review on the progress the country have made with regard to achieving overall SDGs to the high level political forum. 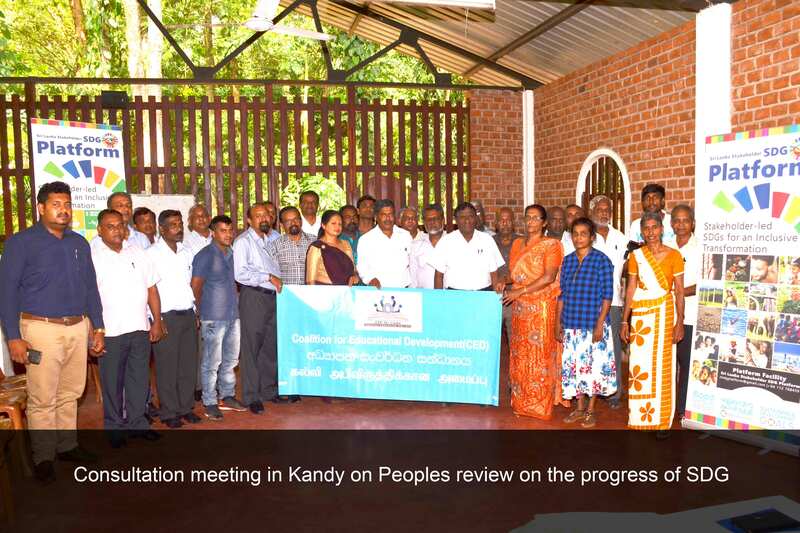 The Ministry of sustainable development and wildlife – the focal point to achieve SDGs in Sri Lanka coordinated the reviewing process with the other stake holders. The ministry handed over the reviewing process to Institute of policy studies (IPS) which is a government institution basically involved in policy forming and research. In the meantime ministry of SDG invited most of the government department agencies for the consultation meetings on implementation of SDGs. 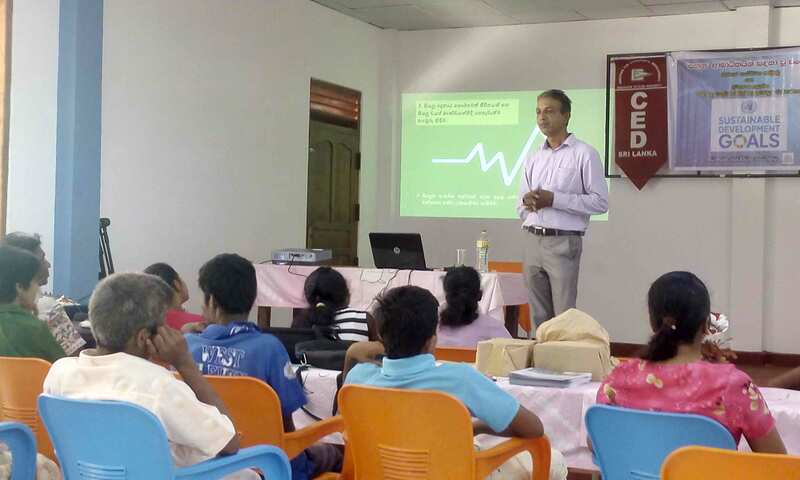 The available space for civil society to involve in policy formation and reforms is comparatively low In Sri Lanka. As CED has been developed strong contacts with the ministry, the secretary of the ministry invited CED to participate in the Voluntary National Review (VNR). However most of the CBO and NGOs not invited for these consultation sessions. Subsequently Civil society organizations jointly requested the ministry to involve them in this process. Although they were invited at the final stages of the SDG consolations meetings, the civil society representatives felt that their voices are not being properly heard. In this situation a group of civil society organization decided to form a platform to initiate dialog on developing an alternative mechanism for review implementing of SDG in Sri Lanka. 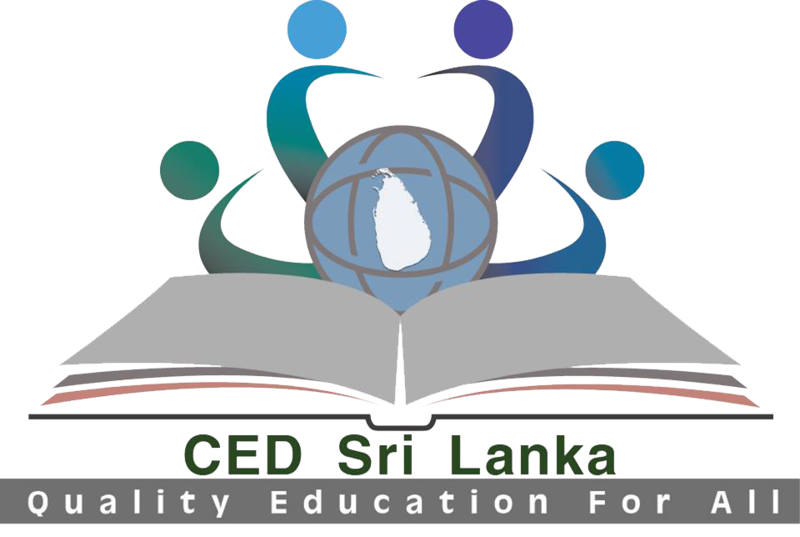 CED Sri Lanka is one of the founder members of civil society platform. SDG civil society platform conducted several discussion and meetings to strengthen the voice of the civil society in order to identify the gaps and areas need to be focused to enhance the processes. The intention of this exercise was to obtain the maximum benefit for the country. Followed by series of meeting SDG stakeholder platform decided to prepare a peoples review report on SDGs. Reviewing the progress of achieving SDG were assigned to these organization according to the agendas of the organizations and their expertise in the particular field. Consequently CED was tasked to review and compile a report on SDG4 education. Some of the consultations took place in the provincial level and CED member organizations facilitated these meeting that held in their locations. In these consultation meetings CED member organizations highlighted the provincial issues that has to be addressed in ensuring quality education. This team work provided good opportunity to CED to develop more contacts with likeminded organizations. Although few members were not able to fulfill the assigned task adequately the core group members took the responsibility of gathering information and compiling the Voluntary peoples review report. This report was presented at the High Level Political Forum in New-york 2018.